Rich, creamy and full of protein and fiber to keep you full until lunch or between meals. As a gal who grew up eating buckwheat pancakes and bulgur wheat pilaf, I can’t tell you how thrilled I am to announce a Bob’s Red Mill giveaway! Whether you’re looking to eat more whole grains or simply want to eat more “real” food that isn’t full of artificial ingredients, Bob is your man. These days, navigating the grocery store aisles can be intimidating. Rows and rows of brightly lit stores feature pretty boxes making big claims: all natural, gluten free, organic, whole grain, etc. You name it, products are claiming it. 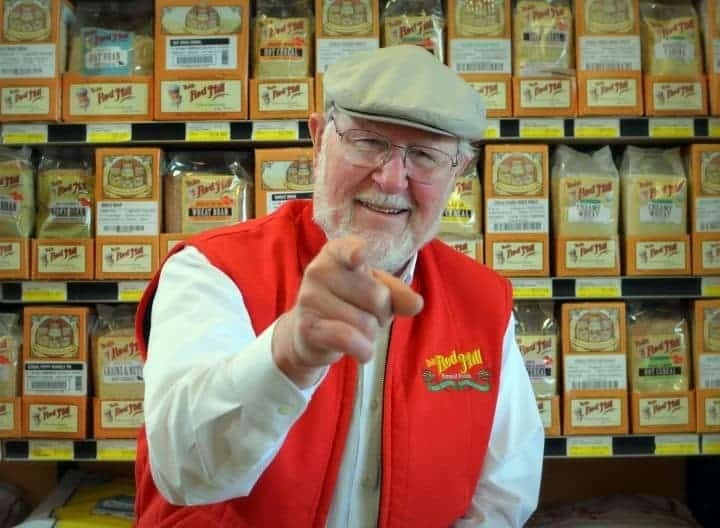 The fact is, Bob’s Red Mill has been offering real, natural, whole grain products for decades. Bottom line:? If Bob’s name is on the package, you can feel good about serving it to your family! 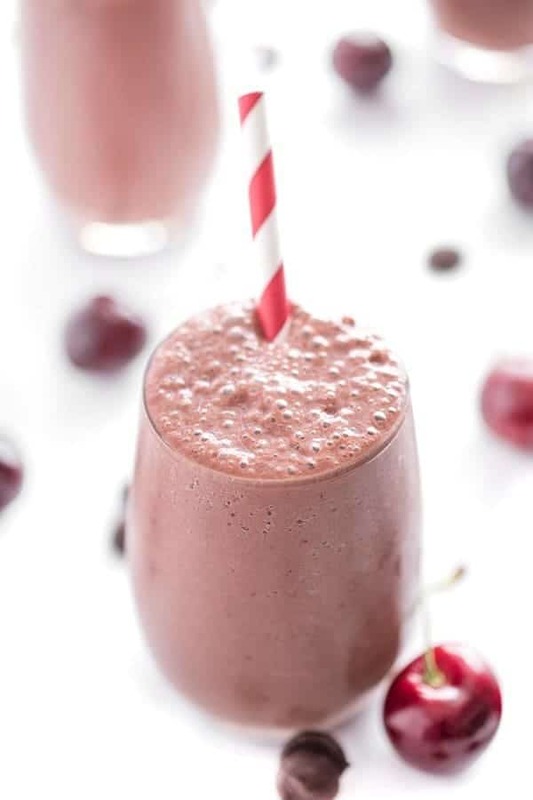 In honor of today’s giveaway, I am sharing a delicious, creamy and satisfying smoothie full of protein, fiber and healthy omega 3 fatty acids thanks to Bob’s Red Mill flax seed meal. Busy morning? 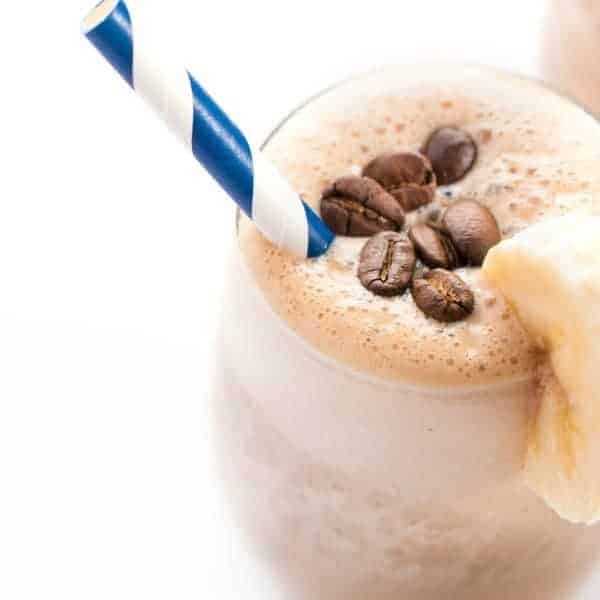 Place everything but the ice in the blender, refrigerate overnight then blend with ice in the morning. Place all ingredients except ice in a high speed blender and puree until smooth. May need to add more water to get everything moving. Once mixture is combined, add ice and pulse until smooth and creamy. 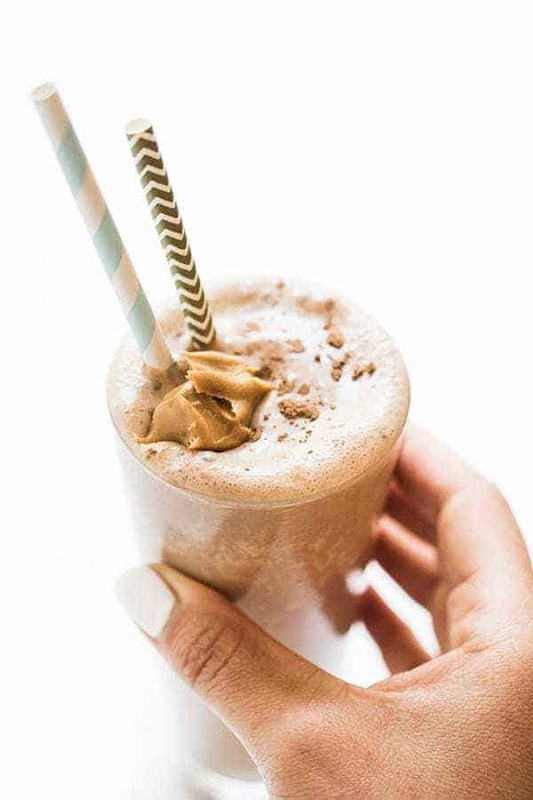 Tip: Place all ingredients except ice in blender and refrigerate overnight. Add ice in the morning and puree. liz, I made this vanilla spice smoothie and it is very good, but I wondered how you ended up with the color you did, mine was green. Did you add in all of the spices? My smoothies usually end up on the brown side due to the cinnamon, nutmeg and other spices I add. :) Let me know if that helps! yes, I used all the fruit and spices, yogurt, protein powder, I guess my spinach just overpowered everything, at least in color, but the flavor was incredible. I stay healthy with a whole foods vegan diet and spin classes and pilates! I’m eating more grains and beans instead of red meat. I am a huge fan of quinoa and bulgar mixed and made into a stuffing for vegetables. Very healthy. i eat a healthy vegan diet and be sure to keep lots of fresh fruits and veggies around! I “liked” Bob’s Red Mill on Facebook. My best tip for a healthy lifestyle is to get sugar out of your life! I always try to have a plate full of color (natural). My favorite way to maintain a healthy lifestyle is by pre-planning meals for the week. If I am hungry and not sure what I am going to make I can end up making unhealthy decisions. I like Bob’s Red Mill on Facebook. I stay healthy by running which in turn forces me to eat better in order to maintain strength and endurance. And now I follow on Facebook!